Carpets are the perfect addition to any home. They vary in size, shape, design and fabrics, as well as price. No matter their specifics, the perfect looks of a carpet should not be compromised. As being a part of your home cleaning tasks, cleaning them nice can be complicated. Simple vacuuming and regular detergents can’t always do the job. What has to be done is getting professional help. The Top Carpet Cleaning offers to bring back the shiny look of your carpets. We provide professional carpet cleaning in West End and all other London areas. You may think that hiring a company to clean your carpets is not of true importance. We believe that you put extra effort to maintain carpeting clean, but is this enough? With The Top Carpet Cleaning you get the best of everything. Our team consists of qualified and skilled carpet cleaners who use the latest cleaning tricks. With their assistance, you can have not only shiny carpets, but healthier environment. The purpose of having our service is getting rid of deeply accumulated debris. It is stuck in your carpets without you even noticing it. Give us a call at 020 3322 8944 and let our staff make your place safer. No spots, no bad odours, no allergies! The Top Carpet Cleaning can take care of all types of carpets. We examine their fabrics and condition before deciding on the most proper approach. Our expert cleaners use two carpet cleaning methods- wet and dry. Let us take a look at your carpets by calling us at 020 3322 8944. It won’t be long before you get a quote. Actually, don’t expect that our services will threaten your budget. 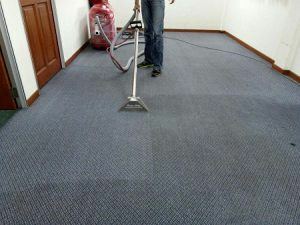 We are proud to offer the most reasonable carpet cleaning prices. With us, your interests will be safe, since we never apply any “hidden costs” tricks. Our budget-friendly prices concern both home and commercial carpet cleaning. So, make your home cleaning chores easier and allow us to maintain your carpets at the best possible rate! West End of London is an area located in the very center of the capital. This is where most of the capital’s theatres, shops and significant buildings can be found. There is always something going on here. The atmosphere is unique and truly vibrant. Just say what you are looking for. You want to go shopping? Take a walk along Oxford street and Regent street. If you are interested in arts, you are surely at the right spot. West End has a huge concentration of museums and galleries like The National Gallery or London Transport Museum. Furthermore, the place is full of theaters that are among the most famous in the world. West End theatre provides you with an experience you will never forget. Musicals, classic plays or comedies – they are all performed at a top-level quality. Book the best carpet cleaning in West End today by calling us on 020 3322 8944.